You must be logged in to post here. The City Manager, Paul A. Hofmann, should be fired. He is anti-business, completely out of his mind (wants Bellaire to look like Sugarland ?!?) and removed the original Bellaire logo from everything that has to do with Bellaire (Letterhead, Trucks, etc.after spending $50,000 to get a new logo). 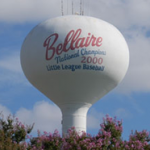 I really don’t get the whole logo thing, I liked the Bellaire logo, but I am for making improvements to the city. I don’t think they’re trying to make it look like Sugarland I think they’re just trying to make it look like it’s 2019 not 1950. Every year we post a list of addresses participating in the Bellaire Citywide Garage Sale. 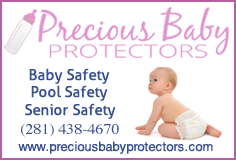 To submit your sale to our list just click the link below. Remember to put information about your sale in the description field. Your name and email will NOT appear on the list. 11th Annual Wine and Tapas happening this Saturday, March 23. Come out and support Bellaire parks! Is it just me or do people get overly crazy about sidewalks? Nope not just you. I’ve noticed the same thing. How many actually have obstacles and aren’t they planning to go around them? Take a walk down Evergreen Street and picture 6FT sidewalks because it is designated commercial. Remove the obstacles of 50 to 100 year old trees and you don’t have a problem. To go around them ask the owner to give up part of his land to compensate for the sidewalk. 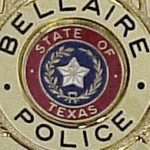 KHOU story about City of Bellaire turning 100 years old. Can someone please explain why a contractor in the state of Texas is not required to have a license or any kind of background check? The agent that sells or helps you buy a house does? The home inspector that inspects your house does? 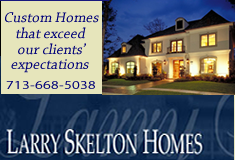 The appraiser that determines the value of your house does? I sure do miss Teas Nursery. I miss Teas too! Garden Center doesn’t compare and Cornelius is so far. Yes! I wish it was still there. Can’t wait for Astros opening day! I’ve been hearing live music in the northern part of Bellaire. Does anyone know where it’s coming from? Probably coming from the Crawfish Festival near the West Loop. Ok, thanks. I could hear the drums pretty well lol. These new houses are just getting bigger and bigger and taking up more and more lot space. It’s starting to feel like the suburbs with track houses sitting right on top of each other! http://www.harrisvotes.com/VoterBallotSearch.aspx?L=E to find your polling place. If you would like to add a profile photo to your account, click on My Account at the top right of the website and then in your account details, click Profile and then Change Profile Photo. Current member of BellaireConnect will need to re-register in order to use some of the features on the site. It’s easy and fast, just click on “Register” at the top right of any page. We hope you like our new look! You can post anything you like on this page, questions, comments or whatever’s on your mind. You can also communicate with other residents on our Forum. Just click the Forums link in the menu.